Table 301 seems to have done it again! 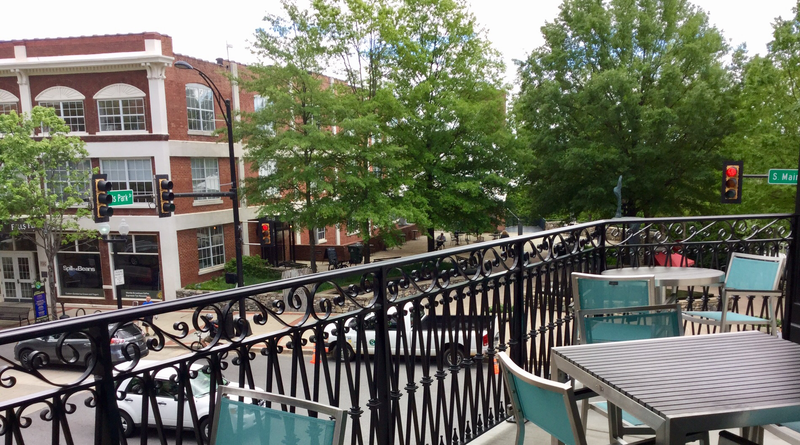 They have another winner in downtown Greenville with Jianna, a “modern Italian Osteria” conveniently perched above Falls Park. Overlooking Liberty Bridge at the corner of Main Street and Falls Park Drive, Jianna has a window on the bustling world below. With a balcony reminiscent of The Big Easy, this corner oasis is perfect for dinner, drinks and whiling away a steamy summer evening. Chef Michael Kramer once worked at a San Francisco restaurant owned by one of his culinary mentors, Marc Valiani. The restaurant was called Jianna, and Valiani’s wife often joked that Jianna was her husband’s “mistress”. Sadly, Valiani passed away in 2011. When Kramer was given the chance to help name this new establishment in Greenville, he immediately thought of Valiani’s lasting inspiration and requested permission to use “Jianna.” What a beautiful tribute to a worthy mentor! 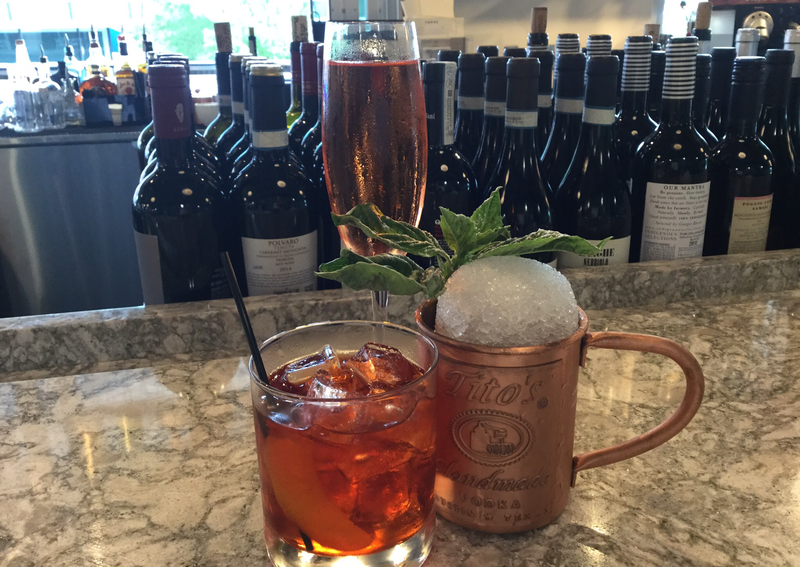 Jianna’s beverage menu features Negroni-inspired cocktails, giving us a modern take on an old Italian classic. Two of these creations, in our opinion, go hand-in-hand…the Classic Negroni and the Countess (because every Countess needs a classic fella by her side). The Countess is light and refreshing, but might sneak up on you with her powerful punch. Crowned with prosecco, she is feminine, elegant and wholly deserving of her noble title. Meanwhile, the Classic Negroni deserves his own badge of honor. Not for the tender-palated, his slightly bitter edge is best for one who enjoys a stiff, bracing cocktail. …the perfect elixir to kick off an evening of fine dining. One of us has been called “the Contessa” since she was knee-high to a grasshopper…so of course she decided to claim as her own! Both will whet your palate and have you comin’ back for more. For those who might enjoy a touch of winter in July (‘cause who wouldn’t like at least a tiny escape from the sky-high temps? ), the Hinny is the cocktail for you. An elevated take on the traditional mule, the frosty mug and mound of crushed ice combine to create an adult snow cone that will have you forgettin’ the steamy heat outside. 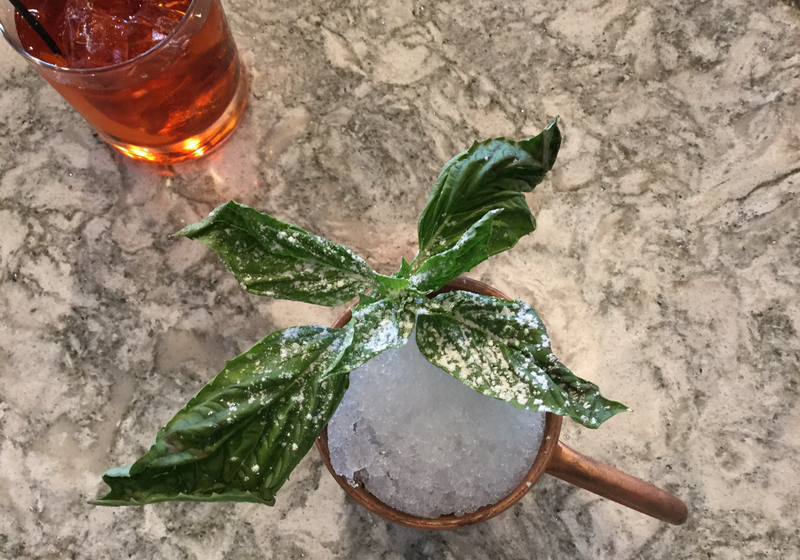 The addition of fresh basil “frosted” with powdered sugar makes it just as pretty as it is refreshing. You’ve heard of herbal remedies right? Here’s the cure to all your hot weather hang-ups. Just cool your heels and enjoy the moment. Although it might be a bit toasty outside during the day, Jianna can take advantage of the cross-breeze as the sun sets…allowing patrons to enjoy some fresh air with indoor/outdoor bar seating and service. And what better place to try to catch the Fourth of July fireworks display?! Give ‘em a call…seats are bookin’ up fast! 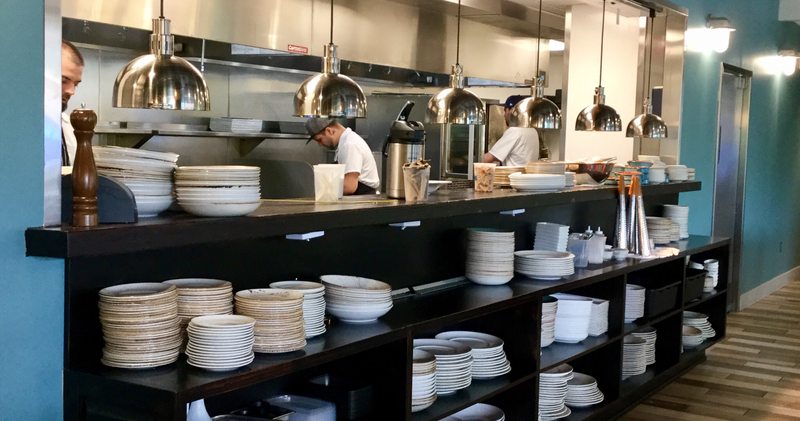 Jianna’s bustling open kitchen cranks out modern Italian dishes using pastas made daily and seasonal, local ingredients. Add to that freshly-shucked oysters and “a refreshing selection of wines and spirits” and you have yourself a winning combination ”best celebrated with family and friends”. Open Tuesday through Sunday for dinner and lunch on weekends, there’s plenty of time to pay Jianna a visit. As they say, “vi diamo il benvenuti”, we welcome you!